China’s space program and the moon: Should the United States collaborate on missions? What Are China’s Plans for the Moon? 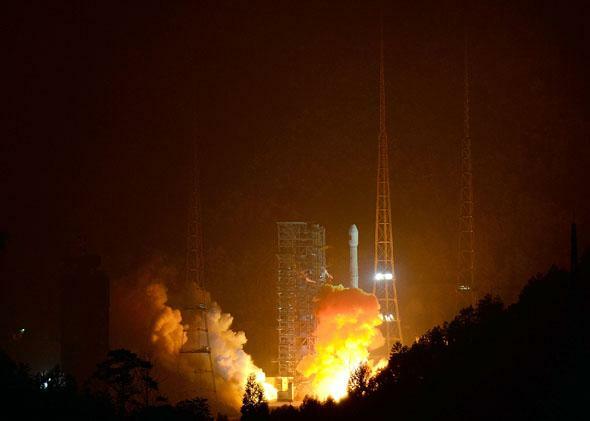 A Long March-3B carrier rocket carrying China’s Chang’e-3 lunar probe takes off from the Xichang Satellite Launch Center on Dec. 2, 2013, in Xichang, China. Leroy Chiao is a Chinese-American former NASA astronaut who commanded the International Space Station between 2004 and 2005. He was the first U.S. citizen invited to China’s astronaut training center. As China sends its first rover to the moon, he says it’s time for NASA to reach out and cooperate. Phil McKenna: Tell me about China’s space program. Leroy Chiao: In the past 10 years, they have flown five crewed missions and have a test lab in orbit now. They plan to launch the first element of a space station in 2018, and complete it and invite astronauts from other countries aboard by 2020. PM: In 2001 you prepared for a mission to the International Space Station at Star City, Russia’s cosmonaut training center. Did you learn from the Chinese scientists there? LC: I saw scores of Chinese specialists in Star City, but when I started talking to some of them in Chinese, their handlers would politely shoo me away. Today, officials in China’s space program are quick to tell you everything is home-grown, but they definitely got a jump-start from the Russian technology they were able to purchase or license. PM: In 2006 you were invited to China’s astronaut research and training center. What was it like? LC: At that time they were still fairly cautious about letting Westerners see too much, but I did get to see their simulators. They based the design of their Shenzhou spacecraft on the Russian Soyuz spacecraft, but it’s larger and more advanced. They put in a glass cockpit and have far more advanced electronics and avionics. I was very impressed with the level of sophistication and assume it would be the same in the actual spacecraft. PM: What does the United States have to gain—or lose—by cooperating with China on crewed missions? LC: We have everything to gain if we cooperate and everything to lose if we don’t. Right now we can’t launch our own astronauts into space. We have experience and know-how, but we don’t have the budget. To stay in a leadership position, we should bring China into the ISS program and the Orion program to go beyond low Earth orbit while we develop commercial launch capability. 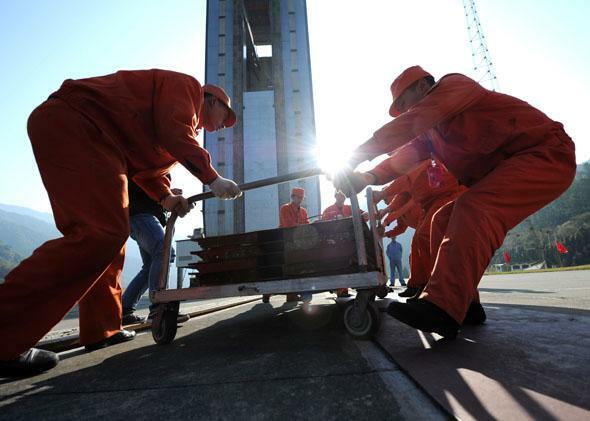 Chinese workers make final preparations to the launch pad at the Xichang Satellite Launch Center in the southwestern province of Sichuan on Dec. 1, 2013. PM: China plans to open its space station in 2020—the same year funding for the ISS is due to end. What does this mean for the ISS? LC: A year ago I would have said the ISS would safely operate until 2028, but it is hard to say what will happen in this budget environment. The United States is likely to continue funding the ISS, but we have to get partners to do so. Talking informally with people at the International Astronautical Congress in Beijing recently, many said their countries are by no means guaranteeing they will commit to continue funding the ISS. PM: Might they commit to funding China’s space station instead? LC: That is the fear. And, who knows, maybe it would be less costly to work with China. PM: This month China aims to put a rover on the moon. Is permanent settlement a goal? LC: There is no question that they are interested in landing their own astronauts on the moon. I don’t know if they want a constantly crewed base; it makes more sense to have a base that they can visit periodically. If they do put people on the moon, it will be very significant. People say they are just doing what the United States did 50 years ago. It is true, we did it 50 years ago, but we can’t do it today.